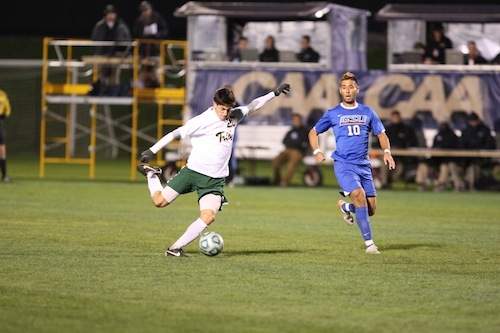 We're very proud to announce that Nicolas Abrigo was the second recipient of the Andrew E. Crapol Scholarship for men's soccer at William & Mary. All donations made to the fund and CRAPOLFEST fundraising go to this scholarship. Son of Gonzalo and Carmen Arenas-Abrigo … His father, Gonzalo, played professionally in Chile with Colo Colo for four years … Intends to major in chemistry at the College.